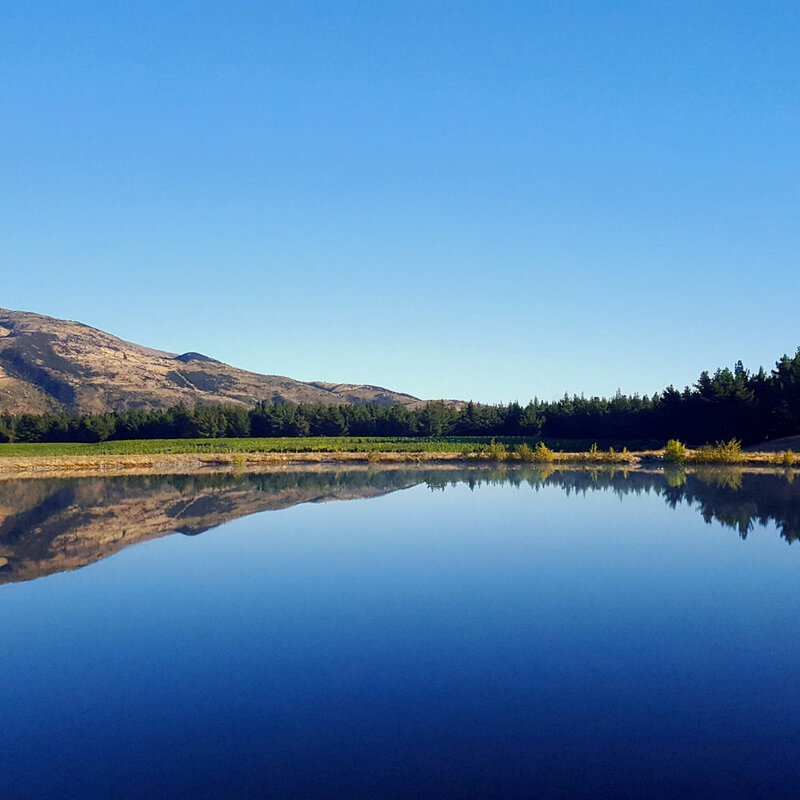 South River Vineyard, Located In the heart of Central Otago, Tarras. Halfway between Cromwell and Wanaka you will find us on the banks of the mighty Clutha River on Maori Point Road. We are surrounded by mountains and ranges stretching as far as the eye can see, snow-covered in winter and often at times in summer. The area is usually cloud-free and dry. Sometimes we call our location the 4 ranges with St Bathens to the east, Dunstan ranges to the south, Pisa to the west and the Tarras ranges to the north. Our idyllic, well kept secret which cant be seen from any road is one of the largest and still privately owned and operated family vineyards in Central Otago producing grapes for a number of wineries but of course keeping the very best for ourselves and giving them that extra bit of care and attention ensuring we deliver the best quality for the best price we think. The Southern Alps and surrounding ranges can funnel a pretty exciting breeze at times, up to 100kph on a really windy day yet with the tree’s on all boundaries we have great protection from these mountainous winds as they sweep across the valleys, lakes rivers and vineyards. Our soil is referred to as the Central Otago wind-blown loess over deep deposits, with large boulders dumped at the foot of the Hawea glacier some 10,000 years ago. Planted in 2005 we are a young, traditional, yet very technological advanced and environmentally conscious vineyard producing wines which really tell the story of time, each of our vintages are as amazing as they are unique and we cant wait for you to try them and come back for more.